Great film -- loved it! 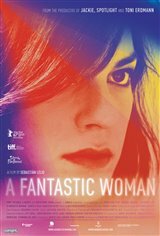 A Fantastic Woman and a fantastic movie. First film I've ever seen on a big screen with a realistic portrayal of life as a trans woman!